Also, I'm not tech-savvy. But I AM determined. 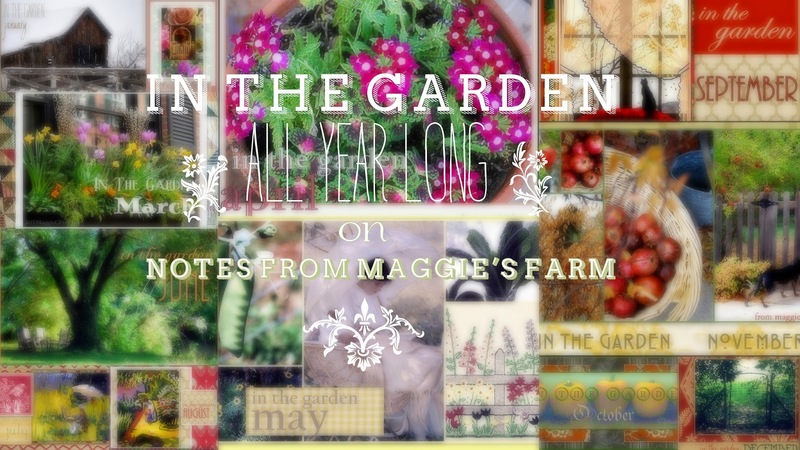 There's something NEW on Notes from Maggie's Farm! After years of sharing monthly gardening to-do lists, and hearing how helpful you readers found this regular Tips for Tuesday feature, I've been scouring my brain for ways to make that information easier to access. I mean what if you want, say, to plan ahead? What if you wanted to know what you'd be planting in September? Or what grubby work you could be put off until your brother visited? There's value in that kind of intel! So I came up with an idea. An idea that wasn't quite as easy to configure as I'd imagined. You might know what I mean. Have you ever, say, imagined the perfect sofa, down to the last detail, then gone in search of it to find it NOWHERE? And then every couch you saw that WAS available didn't live up to what you'd imagined? Or perhaps it was the perfect holiday dress. With pearl buttons, and a velvet collar, and three quarter length sleeves, just below the knee, figure skimming, but not too tight-- and in aubergine. That ever happen to you? I do it all the time. That very same process of imagining something you're perfectly certain you can pull together? Well that's what this nightmare little project became for me. I was absolutely certain that I, equipped with exactly one semester of rudimentary coding, could pull this out of thin air and onto the site. I posted the query on Help forums, and member pages, and coding groups, and to all of my nerdiest, tech-savvy contacts. CRICKETS. That's what I heard in reply. Nada. Nothing. Silence. Oh I could spend a little cash to have it done. But I wanted it for FREE. I wanted to DO IT MYSELF. I always do. So I stayed up all night and DID THE THING. With a little help from the hundredth or so item from a search query-- HOW TO LOSE SLEEP blah blah blah SLIDESHOW WITH LINKS, I found Photosnack. And JUST as I began downloading my images, they shut that baby down for "site maintenance". Seriously. But I was determined. So I played solitaire surfed the internet cried into my tea whined to my dog waited patiently until the site returned, and proceeded to pull this baby together. On the sidebar. Okay, scroll up a little. THERE. There it is. You can see it below, too. Anytime you're curious. No more fruitless searching. It's done. Check out April. That's what's going on this month. Now, I had PLANNED to take a few hours and spiff up the posts. I mean all of the information is current, but some of the posts suffer from a bit of early blogging amateurism. But that plan was made about 15 hours ago. I'll get around to it. Later. 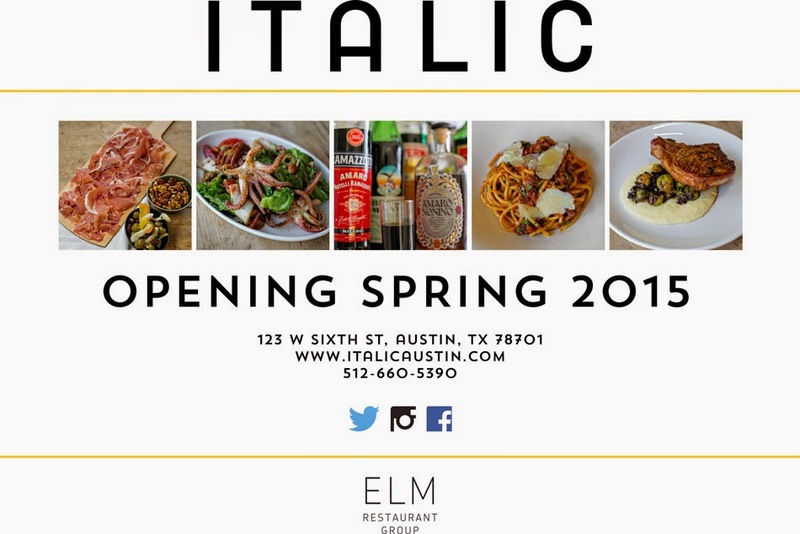 Last week I had the honor of attending a media preview party for the hotly anticipated Italic, newest culinary child of the ELM Restaurant Group, proud parents of wildly popular 24 Diner, Easy Tiger, and Arro, in Austin. Everyone was there. All the fanciest foodies and the hippest scenesters were in attendance. The location is sleek and elegant, the staff, friendly and courteous, the food varied and bountiful, the drinks flowed freely. It was a smash of a first taste —Chef Andrew Curren and crew produced a spread that has this food town talking. I can’t wait to go back. The next day, when my stomach first started rumbling for attention, my immediate thought was—THAT SALAD. I must have that salad. In fact, had Italic been open to the public on Thursday of last week, I’d have happily lined up for a seat for THAT SALAD. There was not an off note in the entire menu of offerings the night before, but the salad, because I’m definitely a salad girl, left a mighty impression. I had, fortuitously, what I thought to be the bones of the dish--a beautiful stalk of brussels sprouts from JBG Organics, a handful of walnuts, and though I believe the dish had pecorino cheese, I had asiago on hand, so that was what I used. I was ready to try to hash it out. So, inspired by that perfect dish from that perfect evening, and the fruit of a little internet research, this recipe from Sam Sifton editor of the New York Times, I set about to play in the kitchen. Wash well, trim, and shave brussels sprouts with a sharp paring knife or mandoline. Roll greens into a tight cigar and shred thinly, crosswise. Leave the smallest sprouts whole. Toss in a salad bowl with walnut halves, asiago cheese shards, chervil, and lemon juice. Pour a few solid glugs of olive oil over, and mix well. (I used my pristinely clean hands to massage the sprouts, break them up, and help them wilt a bit. If that's a bit icky to you, mix them vigorously, cover and allow to macerate for up to an hour.) Season with salt and pepper to taste. Brussels sprouts-- for four servings, use about 2 pints of sprouts, or more. If the greens are unavailable, substitute shredded collard greens, or finely shredded greens cabbage-- or no greens at all, with a little more shaved sprouts to make up for the absence. Walnuts-- No walnuts? Use chopped hazelnuts. I'll bet those would be good. Almonds in a real pinch. But it's the texture of this salad that really makes it shine, and the walnuts are just perfect, really. Meyer lemons-- No Meyer lemons? Try regular lemons, but pull back a bit on the juice-- they are more sour than Meyers. I'd zest the lemons to add to the salad to more closely approximate the flavor of a Meyer. You could certainly omit the lemon juice entirely. But, really, any excuse for a lemon in my world. Chervil-- No chervil? No worries. Dill might be nice, but use a very light hand. Fresh fennel fronds would be interesting. Maybe even minced celery leaves. Or leave the herbs out entirely. Last night, I shared the salad with my girlfriends for Sunday Supper, and it filled us up with nothing more than a highball glass of wine, and great company. So simple. So satisfying. This dish will show up in my salad rotation as long as there are sprouts in season. They won’t be around after it gets hot, so get on it, salad-loving friends. Happily, Italic, unlike the season for brussels, will be available to us all year long. Do yourself a favor and make plans to visit Italic as soon as they open to the public. Stay tuned! It's always exciting to find new products from my favorite market vendors. 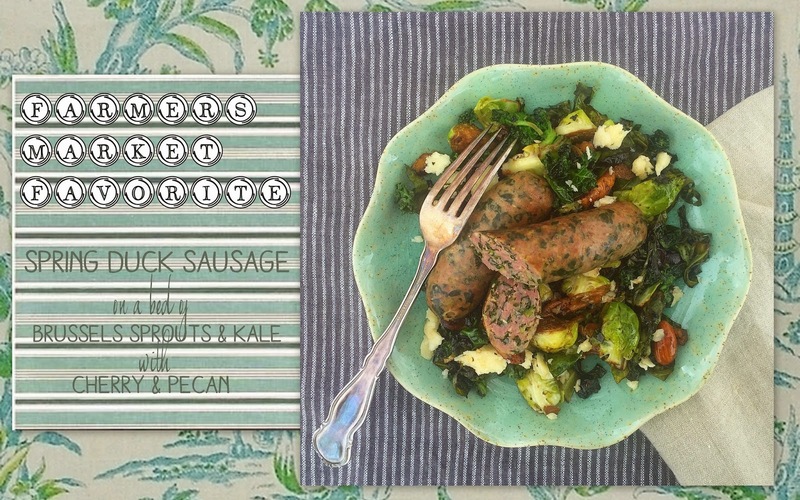 Belle Vie Farms, in addition to offering duck eggs, duck fat, and duck charcuterie including pate, rillettes, and mousse, is now selling fresh duck sausages in two varieties-- Italian seasoned, and Spring, with kale and herbs. I couldn't wait to get my hands on these beauties, and this salad, with spring vegetables and fruity flavors proved to be the perfect complement to the salad's bright star, courtesy of Belle Vie's happy ducks. It was a big hit among market-goers-- Belle Vie sold out on Sunday! 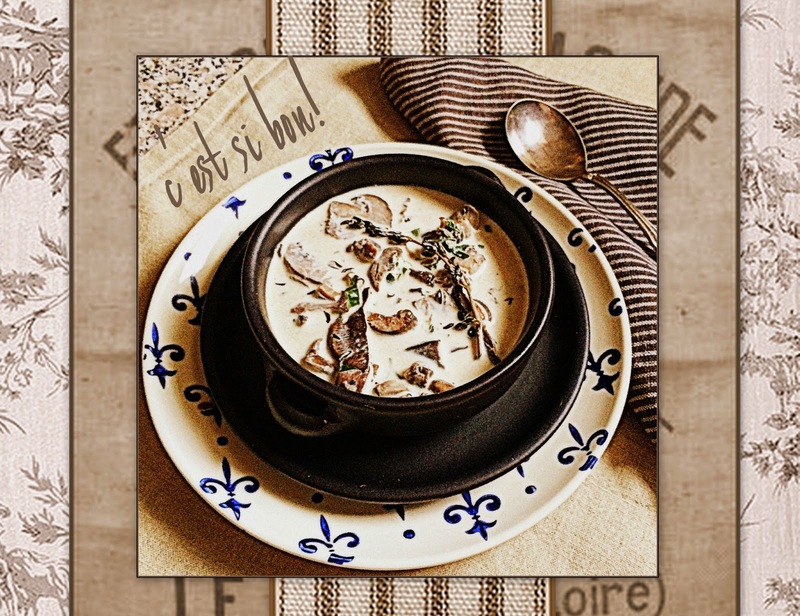 I'll bet you'll enjoy this quick work of a light meal with a little European flair, too! Not in Austin? No worries. I've provided some suitable substitutions for the locally-sourced products in the ingredient notes, following. In a heavy skillet over medium high heat, saute chopped kale in 2 tablespoons duck fat. Remove to large mixing bowl. Saute brussels sprouts, adding duck fat to pan if necessary, until edges slightly brown. 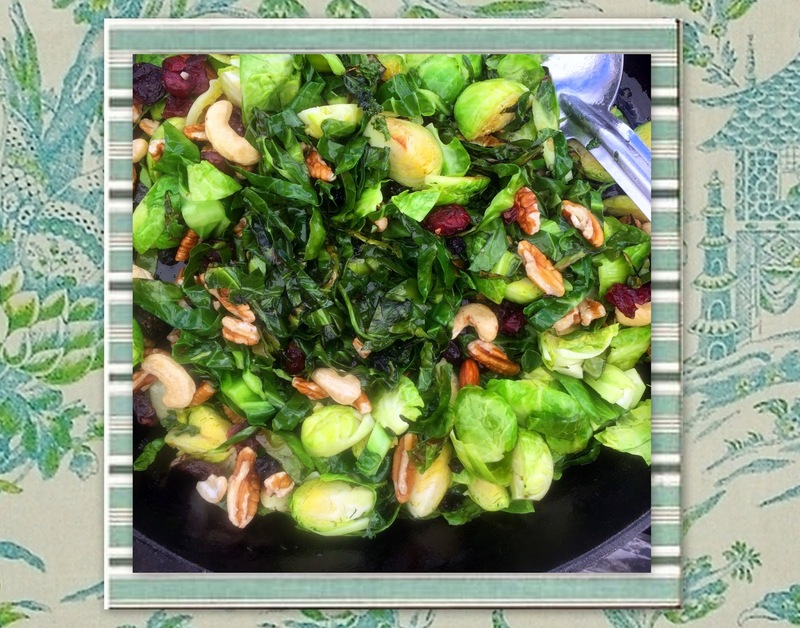 Add dried cherries and pecans and toss well with sprouts. Drizzle vinegar and honey over and mix well, stirring frequently for about two minutes. Remove to mixing bowl and toss with kale. Toss in crumbled black pepper cheddar cheese. To the warm skillet, brown duck sausages on each side. Add stock to pan and simmer sausages until cooked through. Remove sausages, increase heat, add thyme, and reduce stock, scraping bits from the pan, to make about a ¼ cup pan sauce. Add to vegetable mixture and toss well. Divide salad on serving plates, top with 1-2 links of sausage, and serve. 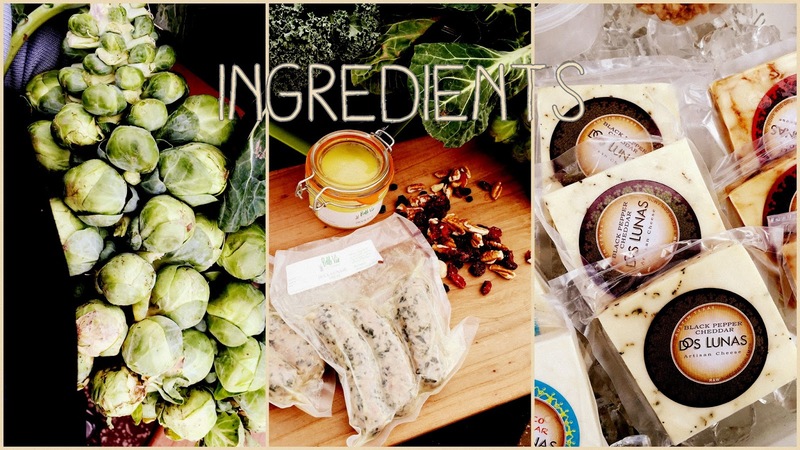 If you have the fortune of living in Austin or the surrounding area, you’ll find the vendor sources listed for all ingredients at the Texas Farmers’ Market at Mueller. Spring Duck Sausage-- Any fresh sausage of your choosing will substitute. Skip anything smoked or cured and head to the butcher case. A chicken or turkey sausage, perhaps with the addition of apple, greens, onions, herbs would be good. Try to stay away from heavy-handed seasoning. If links are large, one will do. If smaller, allow 1-2 links per serving. Duck fat—you could get away with a little schmaltz, or chicken fat, if duck fat is unavailable, but a little extra effort to find ‘duck butter’, as it is often called by chefs is worth the effort. High quality lard (pork fat) could be used as a last resort. Kale and Brussels Sprouts—if you’re close to a local farmers’ market, you’ll find these in season right now in many areas of the country. Any variety of kale will do, and you can use the brussels sprouts greens, rolled into a ‘cigar’ and sliced thinly, if you have access to a big beautiful stalk like those from JBG. In lieu of that, you can plump up the greens component with collard greens, which have a similar texture, or use all kale. If using baby brussels, halve or leave whole. At the market, Yegua Creek Farm offers a trail mix of dried cherries and blueberries, pecans and cashews. It was an easy hack to simply use a handful of this delicious combination. Cherries with duck is a classical pairing, so in lieu of that convenience, use pecans and dried cherries from the bulk section of your local market. Try to find cherries with no sugar added—if that proves fruitless (see what I did there?? ), omit the added honey. I used local honey in this recipe, and I recommend you do the same. Local honey has a reputation for keeping seasonal allergies manageable; no small feat in Central Texas or any spring weather location for that matter. It will make little difference with the small amount in this dish, but using local honey to sweeten beverages and more, over time, has shown to be helpful with the sneezy, watery, red-eyed plague. The Dos Lunas Black Pepper Cheddar is a favorite local nibbling cheese, however should you encounter difficulty finding a black pepper cheddar, any good-quality artisan cheddar will do, especially if it has those characteristic slight salty crystals. Grab a cheesemonger at the market and go with their suggestions. Grind some fresh black pepper into the salad if you’ll miss the pepper, (like I would). Stock? Well if you have access to duck stock, by all means use it. The idea, here, is to layer the duck flavors through use of duck fat, duck stock, duck sausage. It lends a kind of European luxury to this simple but refined meal. It might be a little pricey, or a little rare to find in your area. I’ve used chicken stock with success, and should you be unable to find the other duck items, you’ll still benefit from layering the flavors as mentioned by using good quality chicken sausage, chicken fat, and chicken stock. No doubt, some of these items cost a bit more than generic sausage, cooking oil, and less than fresh vegetables, but using them in smaller quantities, and bulking up the meal with extra green is the way I remain within my conservative food budget. Higher quality, full-flavored food is fully satisfying, in smaller quantities. My motto: Eat better. Eat less. Sleek and chic Patika, located on booming South Lamar is light, bright, and friendly, and serves a top-notch cup o' joe. Located in the redesigned former residence of Gold Creations and Liberty Tax, those of the sparkly signs and dancing Statues of Liberty, Patika lends good taste to a rapidly transforming section of the street formerly known as 'a little seedy', and perfectly funky. Let's just say it's now more uptown funk. The hip new-ish neighborhood coffeeshop and more fits in nicely and nicely. The perfect satellite office, neighborhood hangout, or light breakfast or lunch spot, Patika offers many features that help it stand out in a jam-packed crowd of independent Austin coffee shops. Formerly operating a popular mobile coffee truck downtown since 2010, their growing reputation for offering a primo cup of caffeine lead to the opening of this airy and hip brick and mortar. It's contemporary interior offers ample natural light (hello, Instagrammers), a peaceful ambiance, and several options for seating including tables, counter seating that looks out on busy SoLa, a cozy little corner for a sip and a visit, and a patio outback perfect for soaking up the sun, or gathering with friends over an evening glass of wine and nibbles. As with any trendy business in town, parking can be an issue for this popular spot, Patika offers 10 dedicated parking spots, and 8 spots shared with an adjacent business. As is the nature of the business, many folks come and go quickly, and a quick circle of the block usually is enough time for an opening. Open at 7am, you'll see a steady stream of regulars making this their ritual stop on the morning commute. Learn more about one of my favorite new java spots on their website, Patika, South Lamar . Oh I tolerated a few. I always thought potatoes were pretty cool. I liked canned green beans, cooked to death with bacon and extra sodium, please, and salad. Specifically iceberg lettuce, sliced cucumbers, chopped scallions, and tomato wedges. With dressing. Lots of it. Because that is the salad of my childhood. And those, the veggies. Of course my mother tried to expand my horizons. There were canned black eyed peas. Canned green peas. Canned corn. Canned hominy-- all enriched with a healthy dose of bacon grease. Frozen broccoli, cooked until limp and yellow, smothered in Campbell's cheese gloop soup. Those were proper vegetables in the sixties seventies. Occasionally my mother would have some crazy midlife wild culinary hair, and steam a head of FRESH (!!!) cauliflower. TO DEATH. She'd seen the "recipe" in Family Circle. She'd disguise it under a blanket of melted cheddar. I'd eat the cheddar. There was the rare, but equally bland, boiled, TO DEATH but FRESH, squarsh, as my Midwestern mother called it. Apparently salt would have caused disaster for the boiled and steamed. We were spared the pernicious effects of adequate over seasoning. She'd stuff bell peppers with ground beef and rice and some (canned) tomatoes (gross). I'd eat the stuffing, dragging every little bit of pinkish red flesh from the pile and hiding it under my dinner roll. I was always ready to sacrifice the bread to provide shelter for the undesired. Which took a pretty big dinner roll. I was allowed to eat the stuffing and leave the grey-ish, revolting boiled bell pepper shell, but the edible part, in my eyes, was ruined, still, by the overpowering, overcooked beyond hope of fresh green bitterness. No worries. Mom would melt some cheddar over it. No cheddar cheese could mask the childhood horror of stewed okra. With canned tomatoes. None. Not. Enough. Cheese. My mother was beautiful and kind, devoted and supportive. She was the most fastidious housekeeper I've ever known. She could simply look at a dress in the store, and get home with fabric and notions the very same day to crank it out under the whirrrr of a needle, humming satisfactorily well into the wee hours. She once made me a pale pink crepe-back satin formal jumpsuit with a satin cumberbund for a thespian banquet that I told her about 4 hours before my ride arrived. She stayed up all night hammering out helping with our school projects. Teachers breathlessly praised her our handiwork and called in their cohorts to see what the perfectly tidy twins had accomplished. Her penmanship was the envy of the best calligraphers, she carved a perfect pumpkin, she created AMAZING costumes-- dance recitals, cheerleaders' uniforms, four year old toy machine gun-toting trick or treating Bonnie and Clydes, Living History Days' Clara Bartons and Native Americans, Christmas pageant Marys and Josephs, the requisite get-ups for Y-Indian Guides, Bluebirds, Camp Fire Girls. and later, everyone's costumes for at least one or two of her daughter's frequent theatrics. My mother made June Cleaver look like a grunge rocker. She was impeccable at everything she attempted. Except vegetables. She'd readily admit that she was not exactly in her happy place in the kitchen. Her utensil of choice was a can opener. That's what I knew of vegetables. I ate potatoes and canned green beans and salad alongside my protein for half of my life. And I liked it just fine. And then came that crazy experiment. That six-year long farming foray into seasonal eating. I'd eat, I asserted, almost entirely what I could grow or raise with my own Farmers' Almanac clutched in my tight little garden-gloved fist. I hadn't the room to raise cows or pigs, and I had gone and NAMED the goats so that meat was out. (I did eventually name one of the more unlikable goats Sausage. And he was delicious.) I hated plucking chickens. 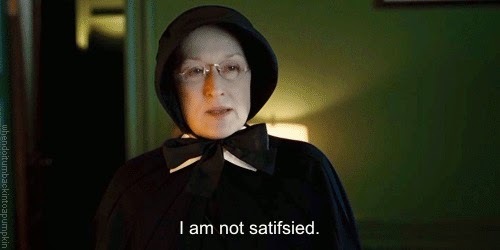 I managed to milk a goat and make some cheese, and eggs were easy and plentiful, but that left a lot of blank space on my plate, and there was a lot of growing going on in, and in spite of, that impossibly rocky soil, and heavens-to-Betsy I was going to learn how to cook, and eat....VEGETABLES. FRESH vegetables. Asparagus and beetroot and parsnips and brussels sprouts and turnips and BEANS and GREENS-- lots of them. And I've learned my favorite ways to prepare them to bring out their best and most flavorful-- simply. On Mondays, these days, and in the spirit of the Meatless Monday tradition, I prepare a batch of fresh, seasonal vegetables to eat the entire week, following. One of my favorite methods for bringing out the best in these little gifts from the earth is roasting. It's healthy. It's easy. It's delicious. It's like dialing it in, all in one pan. And all of those vegetables I'd simply pass on my way to the canned goods aisle are now the stars of my plate. I think you'll like roasted vegetables, too. Grab a pan. Let's get down to business. 1 bunch each, parsnips, carrots, radishes, red beets, and golden beats,scrubbed clean, greens removed and reserved for later use (try THIS). I leave them unpeeled-- I prefer the texture and the healthy helping of fiber, but feel free to peel them if you choose. Quarter the beets, halve the radishes, slice the carrots and parsnips into bite-sized pieces. A couple of small apples-- I used the dainty, tart crabapples that a local farmer grew, halved, but any small apple will do, quartered. I also added 2 small sweet onions, halved. Quarter them, also, if any larger than, say, a tennis ball. Grapeseed oil, to coat the roasting pan, a drizzle of walnut oil, optional, a healthier pour of good-quality aged balsamic vinegar (I used a fig balsamic), and a few sprigs of fresh thyme, a scant teaspoon of dried herbes de provence, or any preferred fresh or dried herbs, a grating of one small finger of fresh ginger, and a few grinds of freshly-cracked black pepper. Finishing salt-- I used a favorite, Maldon salt flakes, but a simple but coarser ground Kosher salt is a great option, too. Note: Roasting root vegetables releases their natural sugars-- their inherent sweetness is enhanced by the balsamic, as well. However adding a slight trickle of honey or maple syrup to the mix wouldn't be bad, at all if you're accommodating a slightly sweet tooth. Coat roasting pan with a light shimmer of grapeseed oil. Toss vegetables together with preferred herbs and seasonings, and dress with balsamic and walnut oil, honey, or maple syrup, if using. (Hint: I separate the beetroot, to minimize "bleeding" onto the remaining vegetables. It works slightly.) Cover pan with lid, or aluminum foil, and roast for about 30 minutes, or until vegetables are just fork tender. Uncover, and roast about 10 minutes longer. Toss, and plate. Serve as is, or dress things up a bit with a touch of chevre, feta cheese, or a spoonful of labneh (Try it homemade. EASY.). Probably not cheddar. This batch yields about 4 side servings of vegetables, or 2 healthy entrees. This is just one of the seasonal assembly of roasted vegetables in my arsenal. I roast everything! I love turnips or brussels sprouts with sweet potatoes, strawberries and black pepper with fennel and asparagus, butternut squash and kale with raisins, boy choy with carrots and shitake mushrooms, roasted tomatoes with eggplant, garlic, and fresh parsley-- really the combinations are endless. A culinary rule of thumb is that vegetables that GROW together, GO together. What are YOUR favorite vegetable combinations? Sometimes you don't want to wait hours for your barbecue. You don't want to fight for a seat at a rickety picnic table under the blistering hot sun. Sometimes you don't want to drive an hour for your barbecue. You want it right THEN. Or at least reasonably close to THEN. Sometimes you just want to meet your favorite food loving friends for barbecue in a fairly central location, with parking, maybe a patio, a few cold ones-- and you don't want to spend a vacation day or a month's pay to do so. 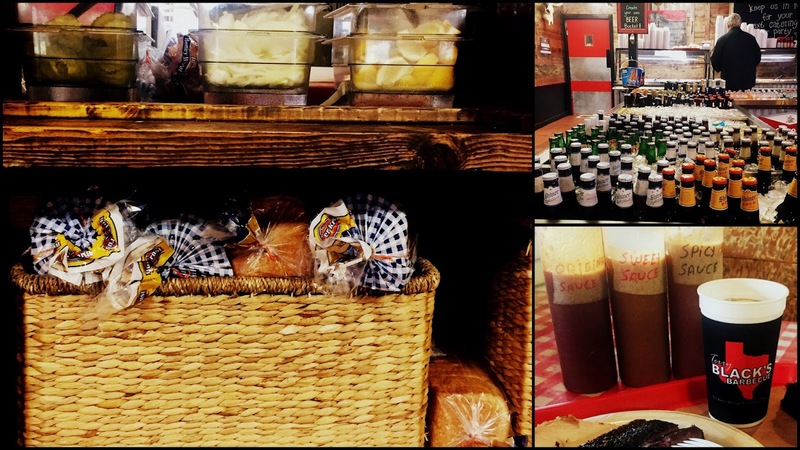 You're going to like Terry Black's Barbecue for all of those reasons. I was invited to Terry Black's for an introduction to the newest project, the lineage of which can be traced back to the original, beloved. Black's Barbecue, in Lockhart (find them among the best barbecue we found east of Austin in the 2015 #ATXBestEats: On the Outskirts of Town The Legendary Barbecue Scene East of Austin). "Born and raised in Lockhart, Texas, Terry Black passed down generations of barbecue knowledge learned from his experience in the Lockhart BBQ scene. 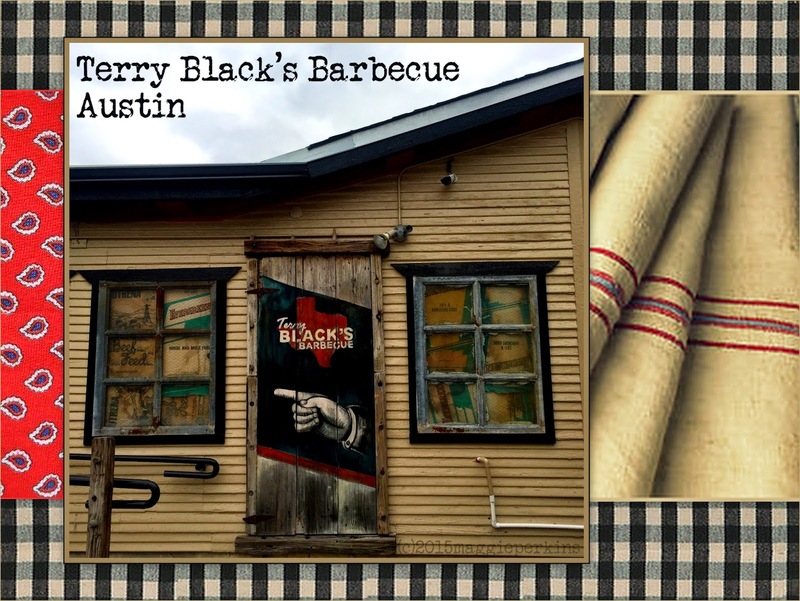 His twin sons Michael and Mark Black bring their very own style of central Texas BBQ from Lockhart to Terry Black's Barbecue in Austin and now to you and your family to enjoy!" their website proudly boasts, and after my visit, as the affable Mark Black sat and chatted with me about barbecue in general, and my favorites, specifically, I could see that Terry Black's commitment to quality and service is being enthusiastically carried on by his proud and determined sons. Of and around the building, itself, which has been home to several past Austin restaurants, you might just find a parking spot-- no small detail in this rapidly growing city and in short supply among neighboring businesses. The pit, where the magic happens, is in the rear of the lot. You'll find a welcoming open-air patio from which to watch passing cars and foot traffic along bustling Barton Springs road, directly across from the Palmer Events Center. The dining area is spacious, and heavily accessorized by all of the proper Texas iconography. You'll get a great big welcome from the friendly and efficient hosts and counter staff, ready to share your enthusiasm for Lone Star favorites-- brisket, pork ribs, beef ribs, sausage, turkey, and more. You might even feel comfortable bringing your vegetarian friends along, because they offer an assortment of sides that will keep them eating (while you hide your Tyrannosaurus Rex-sized beef rib from their delicate glance). I was generously offered one of every side, and Mark Black prepared a sampling of meat including house-made jalapeno cheese sausage, turkey, sliced brisket-- both 'moist', that fattier cut of the brisket that Texans just love, and lean, which while healthier, can often run a little tough on the teeth, and a thickly pepper-crusted pork rib. I'd have loved to sample the beef rib, but these beef ribs are hardly a sampling size, at around a pound a piece. As is standard, you'll find complimentary sliced dill pickles and onions, and sliced white bread just past the cashier, along with iced tea, both sweet and unsweetened, water and soft drink dispenser. You'll have passed a nice selection of iced local and domestic beers as you lined up for your meal. And desserts-- pecan pie, banana pudding, and peach cobbler are offered with the sides, and ice cream, also just past the cashier. Sides include, from upper left, clockwise, green beans, macaroni and cheese, pickled peppers, creamed corn, peach cobbler, cole slaw, mexican rice, potato salad, and pinto beans, center. Meats, right, include from center, clockwise, turkey, moist brisket, lean brisket, pork rib, and smoked jalapeno cheese sausage. My favorite sides were creamed corn, cole slaw, and potato salad, and my favorite meats were the turkey (I know, right? Turkey? It's fantastic! ), and the lean brisket (surprised myself on that one, but the lean brisket is still very tender and not at all dry). Texas barbecue lovers, a dedicated group of loyal fans of the state's pride and joy to which I claim membership, can be a tough audience. They have fastidious measurements regarding their perfect 'cue, and are typically and fanatically loyal to at least one, but maybe several, local pits. Street 'cue cred is measured by the number of of the moment smoky spots one has visited, and which they call their favorites (and maybe just a little knowledge of the barbecue drama among pitmasters and families over the years). Traditional and long-standing barbecue outposts can be overlooked, in favor of new folks who are making a big splash in the Austin barbecue pool, that splash well-deserved, but there are still some fine, if not flashy, options available to those who prefer their smoky 'cue without the side order of fuss. Hours: Monday through Sunday, 11am–9pm, or until the barbecue runs out. We occasionally sell out of some or all meat items. The pits are loaded up each morning with briskets for the next day and smoked 14 to 16 hours, soon after they come off the beef ribs, pork ribs, turkeys, then sausage go on. Then it starts all over. 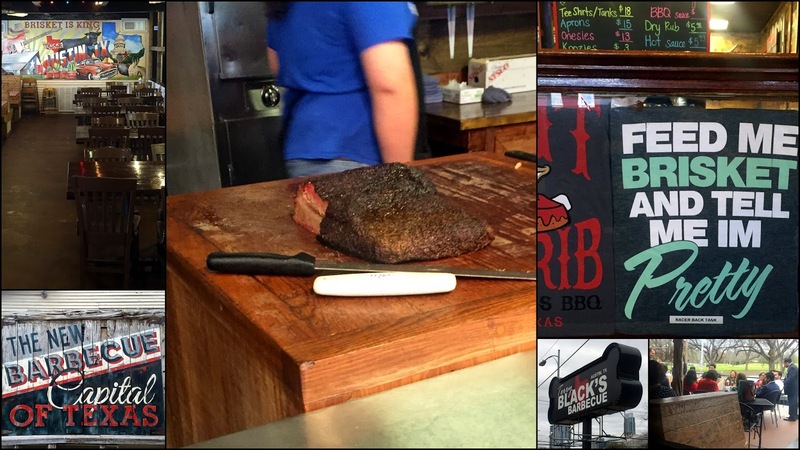 Disclaimer: I was invited to Terry Black's Barbecue by its marketing team, and I was fed generously, on the house. A favorite farm to table restaurant in Austin, Dai Due reports that oysters will last be served on April 1, with crawfish being offered soon thereafter. Also look for spring produce on the menu-- strawberries, artichokes, peas, asparagus, and spring onions. See more, below. Oysters are winding down, and our last Wednesday for our Lavaca bay oysters before we transition to crawfish will be April 1st. This sad news is tempered by the knowledge that we have gorgeous Spring produce on the way in the form of artichokes and strawberries. This week's oysters will be accompanied by slabs of grilled pork ribs, smoked until tender and then crisped over the oak fire. Frog's legs, which, sadly are hard to come by anymore, were a very welcome find last week, and it looks like we will see more this coming weekend. Almost all of the frog's legs seen on menus these days herald from Southeast Asia, so we were very pleased to find a bunch from Anahuac, a boggy, swampy area of the northern Texas coast. Asparagus made a very small showing last week - we were able to get our hands on exactly one bunch - but will be back in force in the next week or two, along with peas. Celery root and rutabagas seem to be over, but the alliums are beginning their glorious ascension: wild onions are to be had to those hiking through low areas, baby leeks are here (soon to be adults) and the onions continue to get larger and sweeter. Soon, the onions will be bulbing and perfect for slicing raw into salads. Tilefish are inbound for Friday, along with flounder. We seem to have been spared the worst of SXSW craziness - please call ahead to check on walk-ins this week. There has been, to this point, surprising availability in the dining room. See you at the shop. AUSTIN, TX (March 16, 2015) – Chef Harold Marmulstein of Salty Sow is being welcomed back to cook at the James Beard House in New York City on Thursday, May 7 for the second year in a row. After a successful event in 2014, Chef Marmulstein looks forward to presenting an all new gastropub-focused menu indicative of his style with thoughtful wine pairings. Beginning March 24, the neighborhood favorite will offer James Beard House menu previews in Austin for guests ensuring their devoted customers get a taste of what’s to come in New York City. The five-course menu previews are priced at $75 per person and will take place at 6:30 p.m. on March 24, April 7 and April 22. To make reservations, please call Salty Sow at (512) 391-2337. Guests can look forward to locally-focused and seasonally-fresh dishes reflecting Marmulstein’s culinary expertise of over 25 years. Selections of the James Beard menu will be available for preview beginning on March24 ensuring loyal customers get a sneak preview of Chef Marmulstein’s thoughtful menu. Salty Sow is an American Gastropub that serves contemporary farmhouse fare. Hand-crafted meats, cocktails and entrees are served fresh daily, mindfully sourced from local farms and purveyors. Modern and unpretentious, Salty Sow’s chef-driven menu delivers thoughtful, farm-to-table eats in a casual setting, making it a trusted neighborhood eatery. Visit their website for more information on the menu and hours at www.saltysow.com. For more information visit WINEBELLY's website. Kraft Foods is recalling 242,000 cases of its original flavor Macaroni & Cheese because some of the boxes contain small pieces of metal. The boxes have “best when used by” dates ranging from Sept. 18 through Oct. 11 of this year and are marked with the code “C2.” They were sold throughout the United States, Puerto Rico and in some countries in the Caribbean and South America. The recall covers 7.25-ounce boxes that were sold individually and in packs of three, four and five. Kraft says it is aware of eight episodes of consumers finding metal in the boxes, but has not been informed of any injuries. Luck O' the Irish to You! 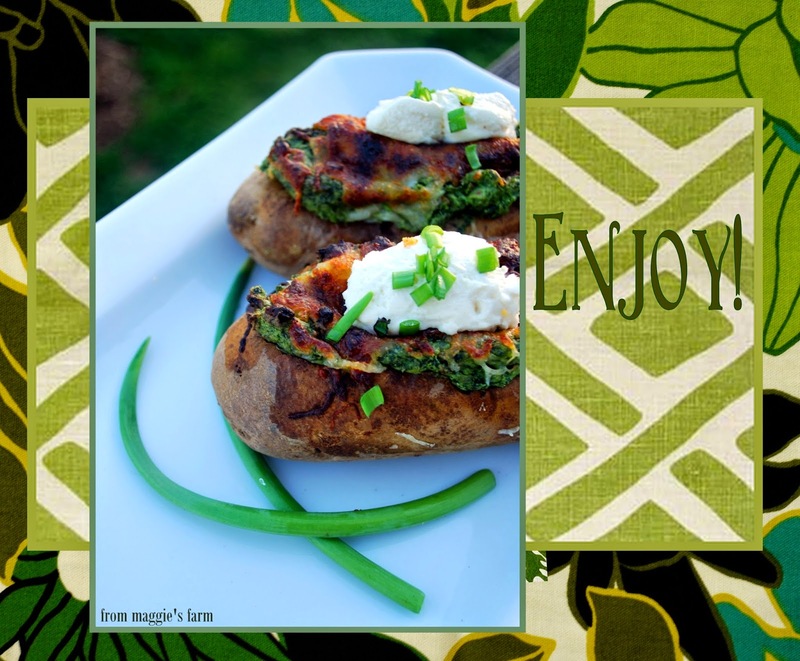 A little lighter, faster, and more economical than the traditional corned beef and cabbage affair, try these Spring Green Twice Baked Potatoes with Spinach and Artichoke to infuse a little Luck o' the Irish, and a lot of antioxidants, into your lunch or dinner. 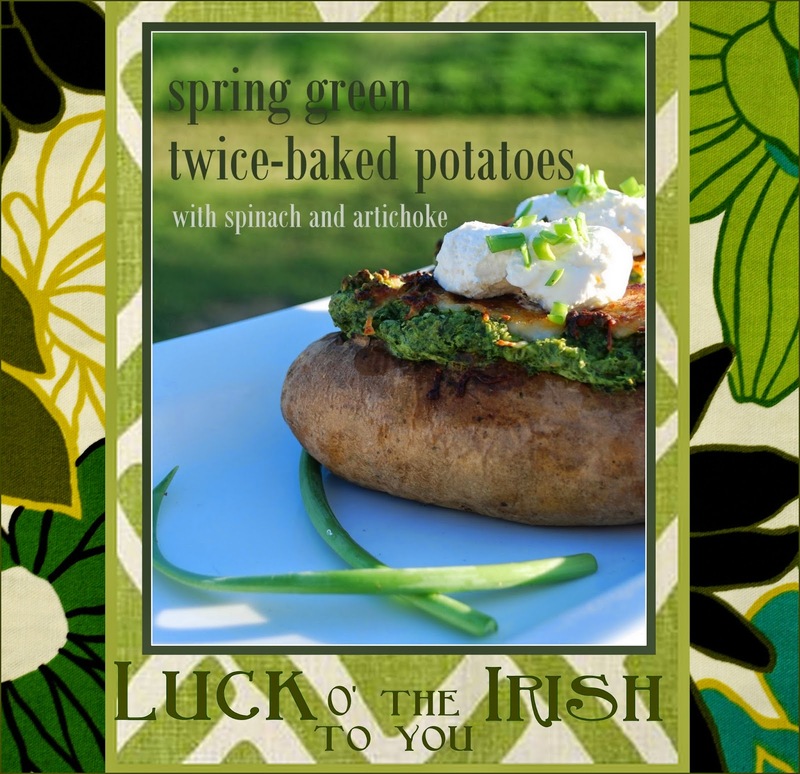 Honor the Irish with the humble potato, dressed in a new spring jacket and stuffed with a lush, green surprise. They best thing about them? Scrub and dry 2 medium baking potatoes, and coat skins with grapeseed oil (or any of your choice that holds up well under high heat), Roast directly on oven rack for about 30-40 minutes, until skins are crisped and yield to pressure. Remove from oven and allow to rest until cool enough to handle. Scoop out the top of the potato, and the flesh, leaving about 1/4" adhered to the skin. Reserve potato shells and flesh separately. 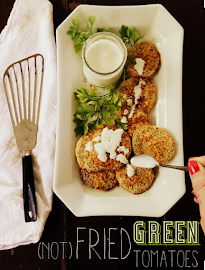 Using a food processor, pulse 6 oz of baby spinach, washed well and dried thoroughly, until smooth (not pureed, see photo) in two batches, Add 4 ounces cream cheese at room temperature, and pulse until incorporated with spinach. Add 1-2 cups artichoke hearts (I used frozen hearts, and didn't even bother with thawing. You could use fresh, canned, or jarred, also. ), 2 cloves of garlic, chopped roughly, 1 tsp kosher salt, and 1 tsp crushed red chiles, or to taste. Add potato reserved potato flesh and process by pulsing just until blended. Scoop filling into potato shells, mounding generously. Top with grated gruyere cheese. Pop into the oven, still heated to 400 degrees, and roast until tops are browned. Garnish with sour cream, sliced scallions, perhaps even a sprinkling of crisp bacon bits if you're eating meat. Leftover filling? Why not make a thrifty rustic gratin to give this dish a second life as tomorrow's side dish? Stir a handful of grated gruyere into the spinach artichoke blend, and bake in greased individual ramekins at 350 degrees, until heated through. See? Quick and easy. Now you've got time to hunt down a green beer or two. 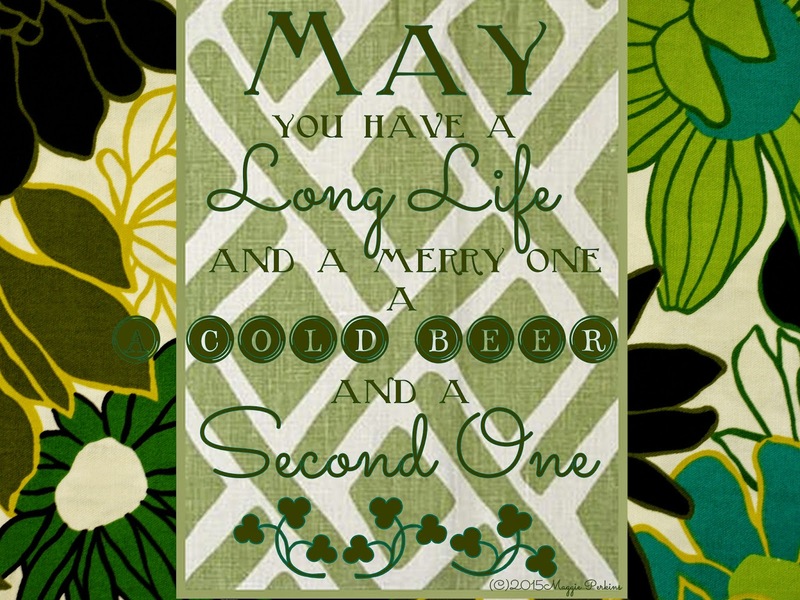 Happy St. Patrick's Day and may the Luck O' the Irish be with you! One of the neatest ways I collaborate with Texas Farmers' Markets, you'll frequently find me chatting up market shoppers and sharing ways to prepare the seasonal bounty offered by vendors and farmers. Chefs and home cooks, residents and out-of-towners, vegans and carnivores, beginners and seasoned gourmands, food-lovers of all ages, from the young Market Sprout chef "helpers", to the sweet little lady who learned to cook in France in the 50's-- the variety of market shoppers are as bright and beautiful as the farmers' tables. We're all there--vendors, farmers, shoppers, chefs-- because we love healthy, wholesome food, and our collective enthusiasm is infectious! I suspect I learn more than I teach on these occasions. 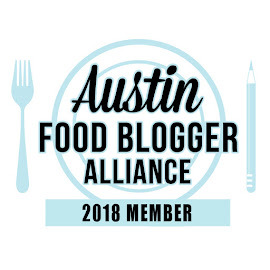 In the year that I've been a member of the TFM family, I've forged some lovely friendships over the shared commitment to eating well, and supporting our community in the larger sense of the city, Austin, that I am lucky enough to call home, and the smaller sense of the local family farmer, grower, producer who serves us. Pat is one of those friends, a fellow market shopper and community supporter. She's a local foods enthusiast and loyal farmers' market patron. Our community is lucky to have friends like Pat. Pat brought her husband, Todd, to the market last weekend, for the mushroom-themed event, A Fungus Among Us-- an opportunity for food-lovers of all ages to learn about, and taste, a variety of mushrooms, and ideas for preparation. They were patient, circling around a few times during the chef demonstration, and nibbling on mushroom tamales, pan-roasted mushrooms, and stuffed portabellas as they waited for that simmering pot of something to finish doing whatever had to be done to be DONE. Pat's the kind of supportive friend who will ask questions she knows the answer to, just to encourage engagement from the crowd. She's a gem. After the demo, and with Pat and Todd's arms filled with the FIVE POUNDS of Kitchen Pride Mushrooms she purchased, we quickly traded the recipe. They headed to the grocery for a few small details, and then back to their home. I crossed my fingers that it would turn out well. I was delighted to see, evidenced by social media posts, that Todd prepared the soup that they both scarfed down with satisfaction. It's always a great feeling to see your recipes reproduced, and enjoyed. Let me take this opportunity to thank Pat and Todd for their enthusiasm and support. Shoppers, followers, readers, fans, friends-- they keep the producers, the instructors, the food cheerleaders going strong, and we appreciate you! This silky, luxurious cream soup is filling, and rich. It can be enjoyed as a main course, with perhaps nothing more than a fresh-baked baguette (from the market! ), and a salad of mixed greens with a simple vinaigrette. I'm eating light(er) these days, so I make the salad the entree, and enjoy a smaller cup to begin my meal. 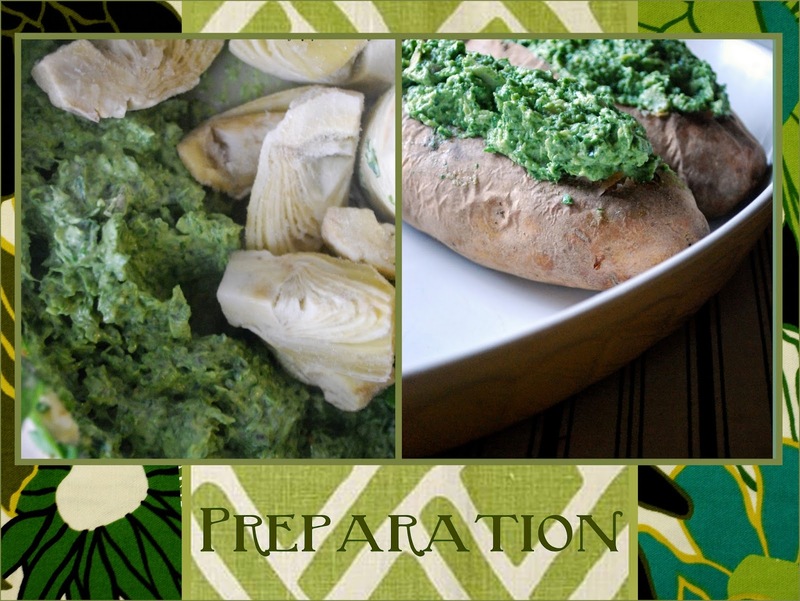 It's glorious in it's simplicity, both to eat, and to prepare. 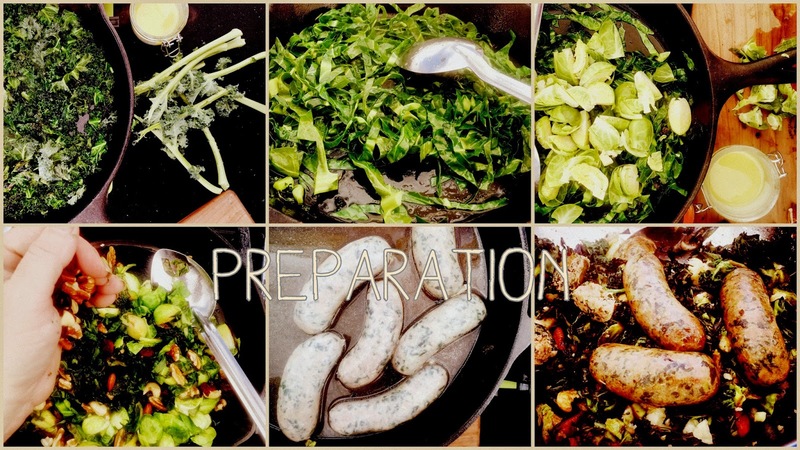 First, collect and prep your ingredients. Begin with a sizzling hot skillet. (I LOVE cast iron. Nothing fancy necessary for me. We use them at the market for demos, as well.) Cover the pan with the oil in a thin layer (you can add more oil as mushrooms cook, if necessary, but if there is too much oil, or the temperature is too low, the mushrooms will soak up added oil that you won't want in your soup.). Pan fry shallots until just transparent. Remove. 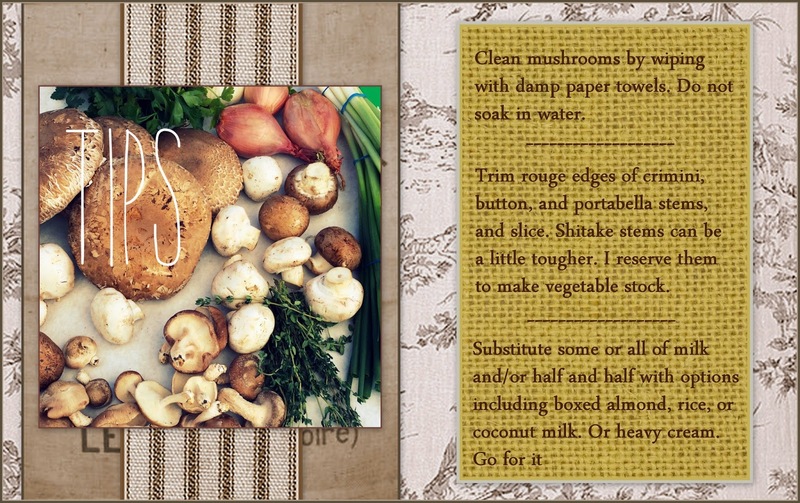 Add mushrooms, one cup at a time, to skillet. Do not crowd the pan, as they will steam instead of sear. We are going for a little crisp on the edges. 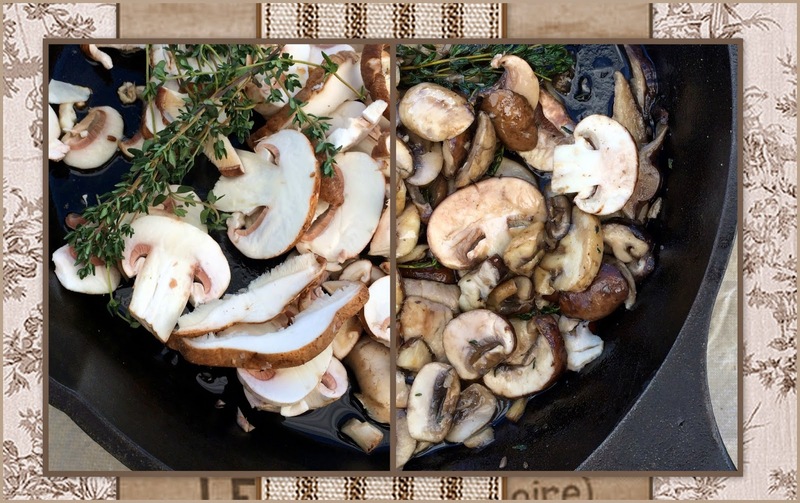 Toss in a few sprigs of thyme to saute along with the mushrooms. 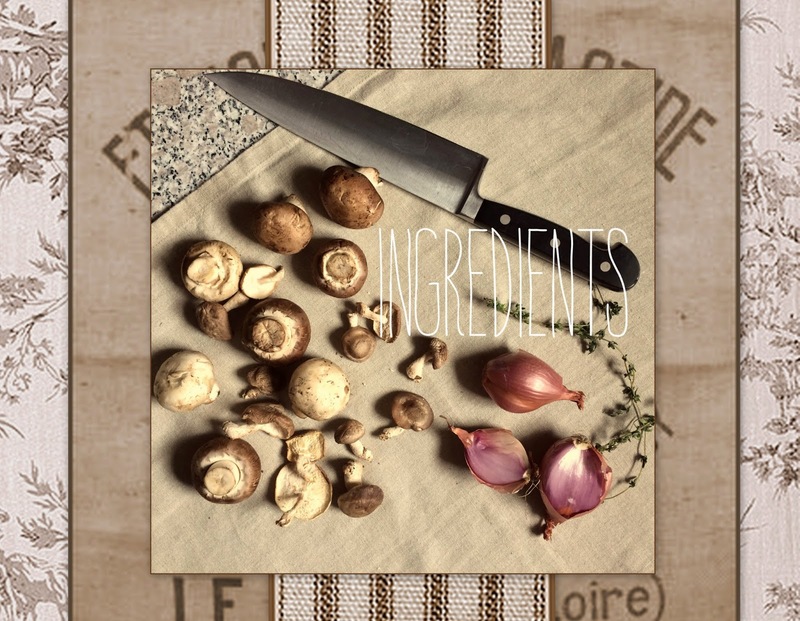 Layer the cooking times of the mushrooms, by adding cupfuls in 2-3 minute increments. This will allow for varying textures-- some cooked well, some cooked al dente, and everything in between. If the pan becomes too crowded, remove and reserve that batch and begin another in the pan. 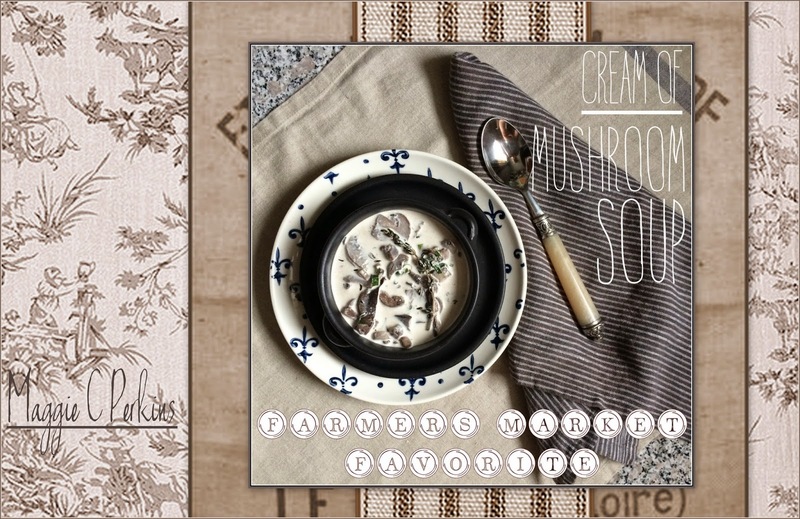 Moving to a heavy saucepot or dutch oven to complete the soup, transfer cooked mushrooms, shallots, and thyme to soup pot over medium heat. Add remaining thyme, chopped parsley and sliced scallions. (I use whole thyme sprigs, and fish them out before serving.) Slowly stir in half and half and milk. Bring to a low simmer, cover, and allow to simmer for about 30 minutes. Do NOT allow to boil. You'll have a hot mess of separated half and half on your hands. Just a simmer. Better to go lower and longer, so that mushrooms and seasoning fully infuse the soup, rather than hotter and faster, here. Cream or milk-based soups require a little more salt than one might expect. Start with a teaspoon, but certainly don't be shy-- taste as you go, and add as much as you need. Season, additionally, with freshly-ground black pepper, to taste. I love the stuff in cream soups, so I can be a little heavy-handed. Go with what you like. Fish out those thyme stems, and serve warm. Follow the action at the Texas Farmers' Markets, including the Cedar Park Farmers' Market, and the Mueller Farmers' Market, on their Facebook pages, and stay tuned for the newest market in Austin, opening soon at the Domain! I'm just proud as punch to have my recipe featured by Austin American Statesman. You can find that article here, on Relish Austin, the food blog for Austin360, by AAS's Addie Broyles.. Follow along with the #austin360cooks hashtag on Instagram, where you'll find foodies across the city sharing their home cooked meals. Also find me posting as maggiecperkins, and specifically for this blog with the hashtag #NotesfromMaggiesFarm .